It seems obvious that having trees around the places we live and work is a good thing, but maybe some people need it spelled out for them in figures, and so, this news from Treehugger: Loss of Trees Linked to Higher Death Rates in Humans. (I actually found it through Grist.org: Trees May Be Keeping You Alive, which is a more concise read.) It’s definitely on a more subtle level than the whole carbon cycle we learned of in school. I can’t help but feel that if more people paid attention to how places affect them energetically, this wouldn’t need to only worked out quite so exhaustively to convince city planners. 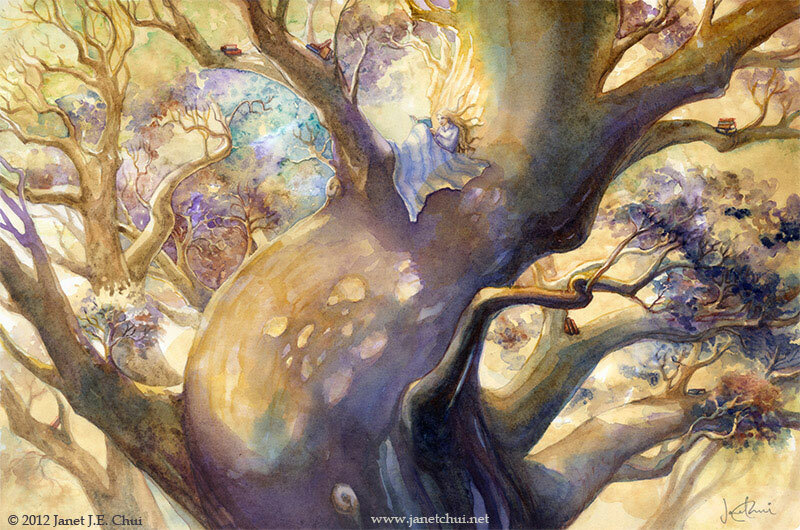 “The Reading Tree” by Janet Chui. Print for sale in my store.